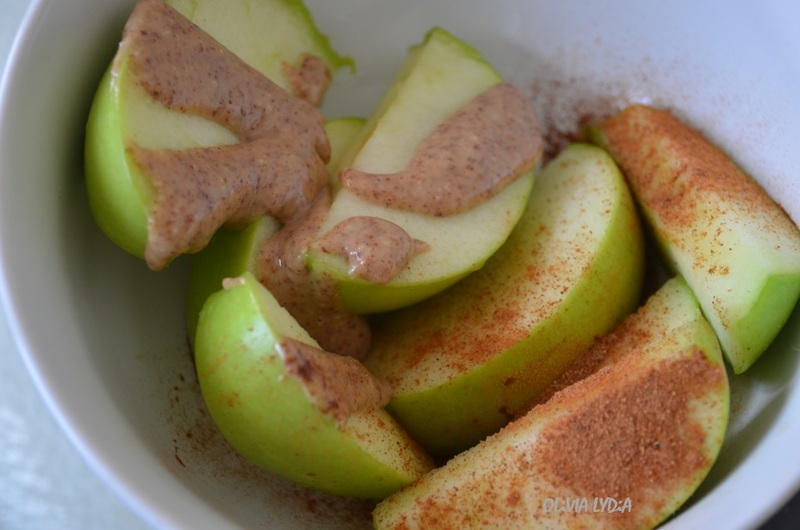 Healthy Snack Ideas: Spiced Apples with Almond butter & Cina-trail Mix – Olive For Greens. As I’ve mentioned before, every morning I have water then a green smoothie for breakfast (click here for green smoothie recipes). Sometimes, before lunch, I get hungry so I will have fruit. 9 times out of 10 that is an apple! I am 100% smitten by almond butter. 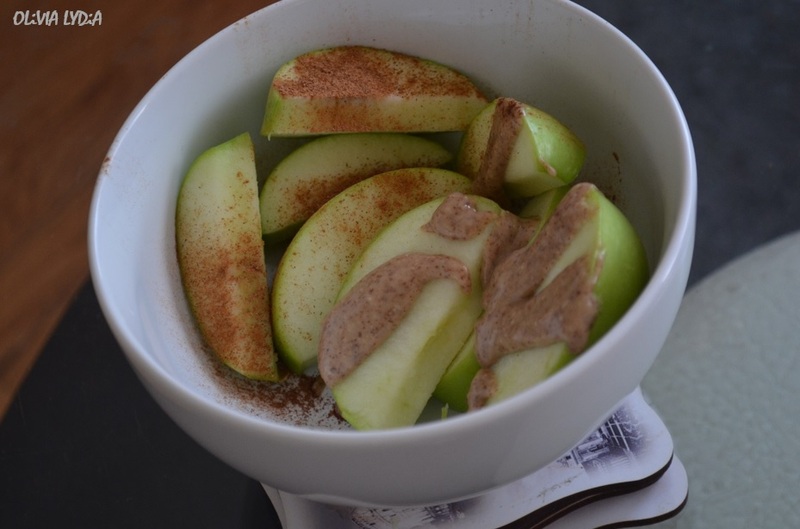 To avoid almond butter overload (too much of anything is not good), I started sprinkling cinnamon on top of my apples. And what a treat! By doing this I am less likely to add 2,3 or 4 tablespoons of almond butter. Give this little trick a try! Slice the apples into wedges. Sprinkle the spices on one half then the dollop of almond butter on the other half. OR you mix the spices in with the almond butter then dip. 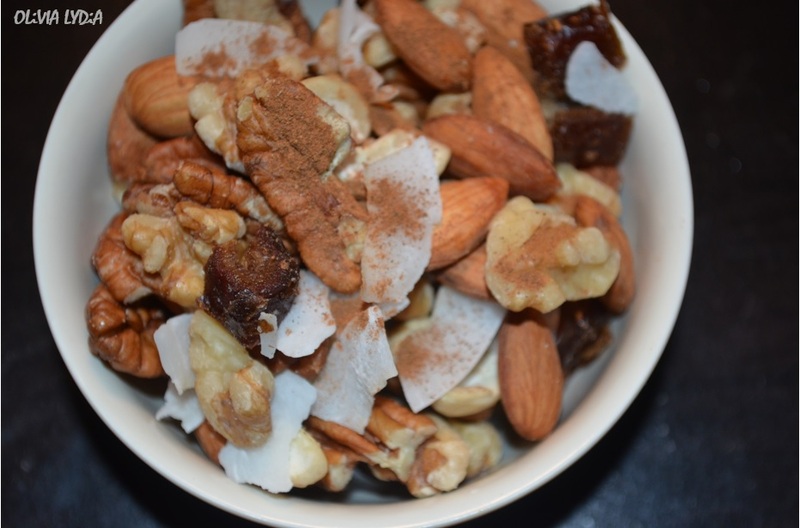 Another favorite snack of mine is trail mix. No, not the ones at the store! You should be careful when buying those because some have added sodium, sugar and dried fruit (which also have added sugar!). The amount below can give you 2-4 servings. This is the perfect afternoon snack after lunch. 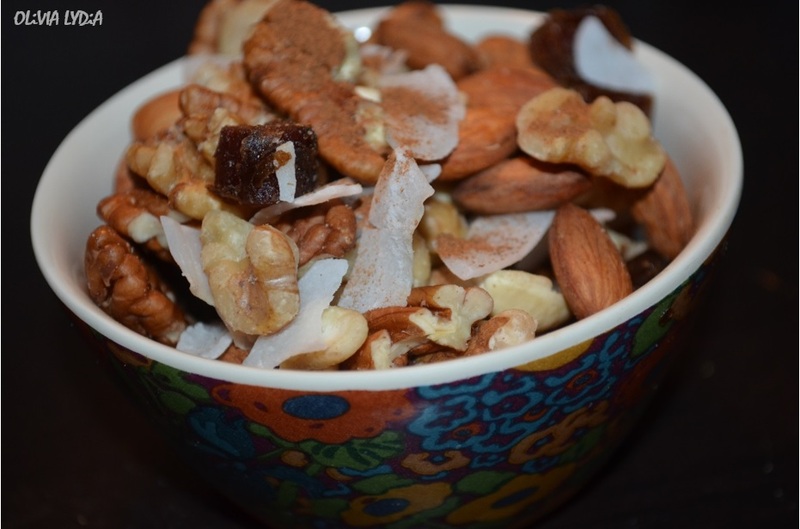 Tip: If you are buying roasted nuts, and not raw nuts, be sure there is no salt added. In a bowl mix all of the ingredients. Divide half of the mixture into 2 individual baggies for 2 different days or one for you and one for a friend!